Gladstone Brass found out how to make his livelihood during the thirty years he prospected the arid wastes of the Nevada desert. He pried ore out of the few small deposits he discovered, then went to town-which he hated-only long enough to trade his bits of gold for the supplies he needed. Otherwise, he was devoted to keeping these arid, secret wastes all to himself, and that meant driving out rivals, invaders, interlopers, and adventurers. His only friend and companion was Tia Maria, a burro he'd caught in a desert canyon after his mule died from a snake bite. His great enemy was Bitter Bowler, a younger man, but run-down and dishonest. One day, Brass spotted buzzards circling, and curiosity led him to investigate. He found a dead burro and an injured Bitter Bowler with his revolver trained on Brass. Bowler claimed he had broken his leg and couldn't move. He wanted Brass' water. When Brass refused, Bowler shot Tia Maria, then told him the next shot would be for him if he didn't leave his water and supplies and get more water and something he could use for a crutch. Brass agreed and headed for Angel Cliff seep, the nearest water supply. He was debating whether he should go back to rescue Bitter Bowler when he arrived at the seep to find a stranger camped there who immediately turned, his gun pointed right at Brass. 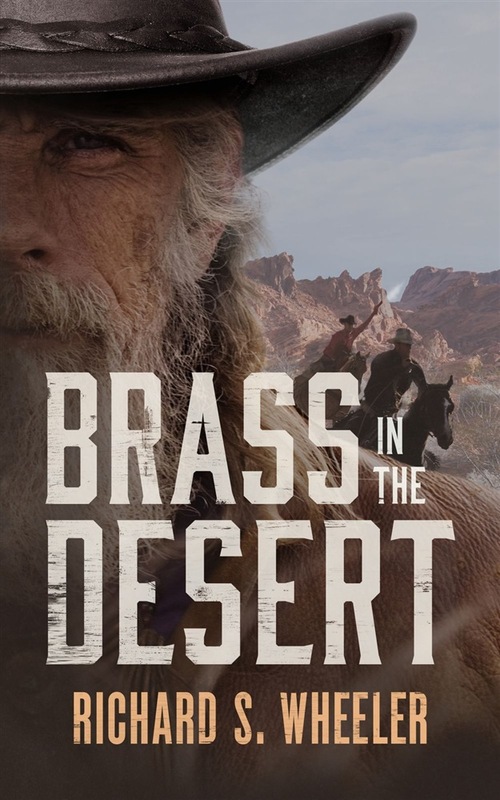 Acquista Brass in the Desert in Epub: dopo aver letto l’ebook Brass in the Desert di Richard S. Wheeler ti invitiamo a lasciarci una Recensione qui sotto: sarà utile agli utenti che non abbiano ancora letto questo libro e che vogliano avere delle opinioni altrui. L’opinione su di un libro è molto soggettiva e per questo leggere eventuali recensioni negative non ci dovrà frenare dall’acquisto, anzi dovrà spingerci ad acquistare il libro in fretta per poter dire la nostra ed eventualmente smentire quanto commentato da altri, contribuendo ad arricchire più possibile i commenti e dare sempre più spunti di confronto al pubblico online.